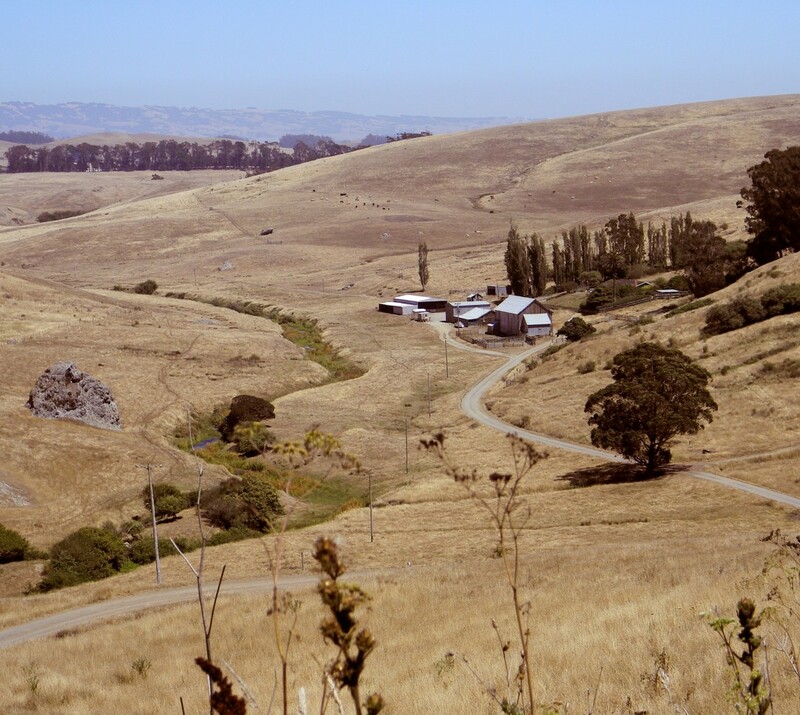 I’ve been wanting to write for quite a while, but hadn’t found the time or resources. Tapping my fingers on my desk at work, & looking all around I wan’t going to let my 45 minute lunch to go to waste. 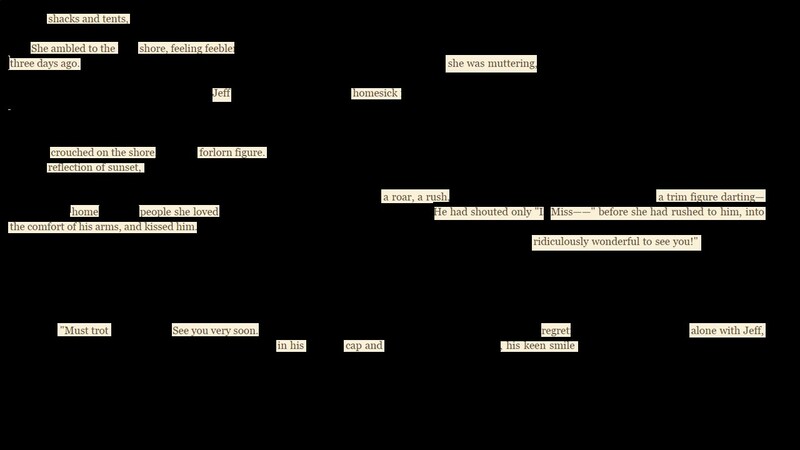 In that amount of time I could create a new blackout poem. However, the only reading material I had in my desk to use was the Fleet Type Submarine Manual and the Torpedo Data Computer Manual which are not exactly choice verbiage for creating poetry. Then I remembered I could access my Kindle Cloud reader on the computer. 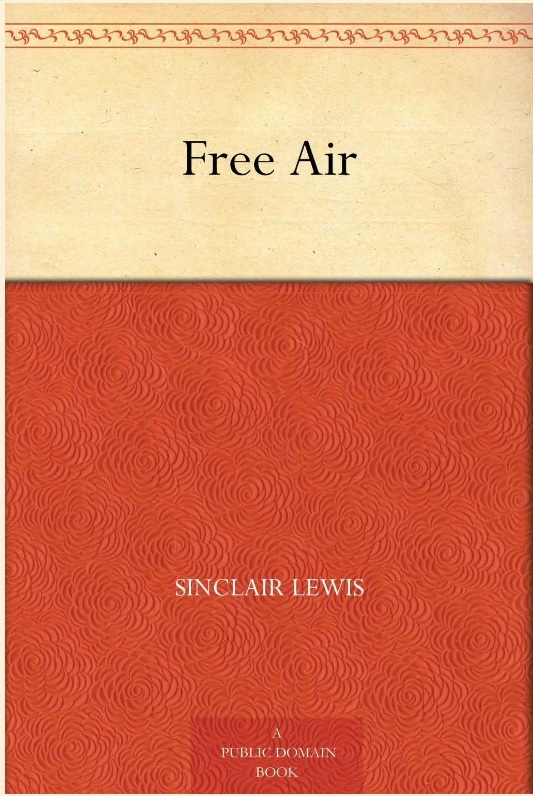 Randomly, I chose from my fiction library the book Free Air by Sinclair Lewis and scrolled through with the mouse until I stopped on page 105 (because that is what time it was). I read this book in the summer of 2015 so it wasn’t fresh in my memory. I first skimmed the page, looking at it like a word search puzzle to see which words popped out. It’s been a long time since I’ve done a blackout poetry & usually I have to be in a particular mood when I make one. This time, not so much of a mood came through, but more of a theme. Nearly every day since the beginning of this year, my family has been watching past seasons of the reality TV show Survivor on DVD, and have just completed Season 13. Thus when I saw the name Jeff on the page of this book…. my mind immediately conjured up an image of host Jeff Probst. On the show, love or hate the castaway, it’s always an emotional episode when they have the “Loved Ones Visit.” The castaways are always surprised to see loved ones & then compete to spend time with them. That’s what I thought of when making this…especially those who lose the challenge. Because it was an e-book page it’s a lot wider than a photocopy of a regular book so you’ll have to click on the picture to read it full size. In the event it doesn’t load because of the size, I typed it out below the picture. Ridiculously wonderful to see you !